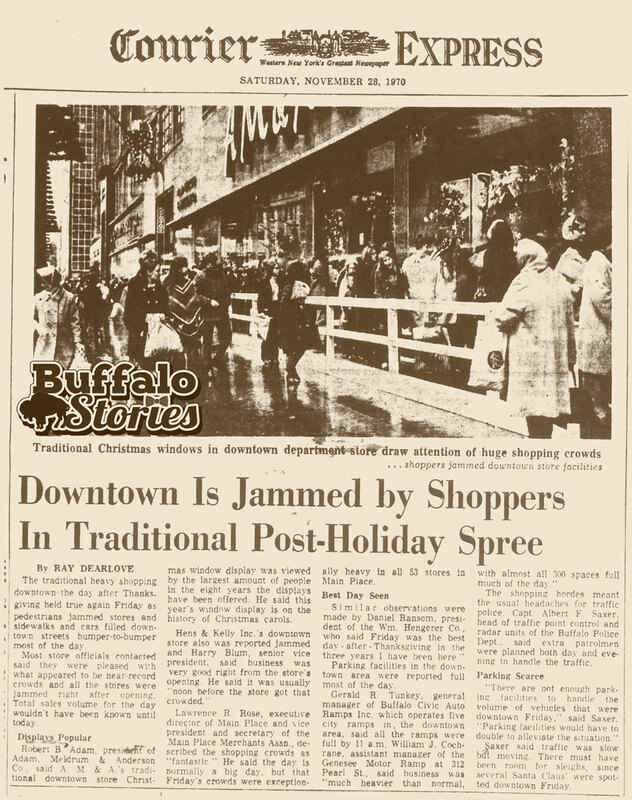 From the pages of the Courier-Express, holiday shopping on Main Street downtown 47 years ago today… AM&A’s windows and sidewalks jammed with shoppers. The traditional heavy shopping downtown the day after Thanksgiving held true again Friday as pedestrians jammed stores and sidewalks and cars filled downtown streets bumper-to-bumper most of the day. Most store officials contacted said they were pleased with what appeared to be near-record crowds and all the stores were jammed right after opening. Total sales volume for the day wouldn’t have been known until today. year’s window display is on the history of Christmas carols. “fantastic.” He said the day is normally a big day, but that Friday’s crowds were exceptionally heavy in all 53 stores in Main Place. 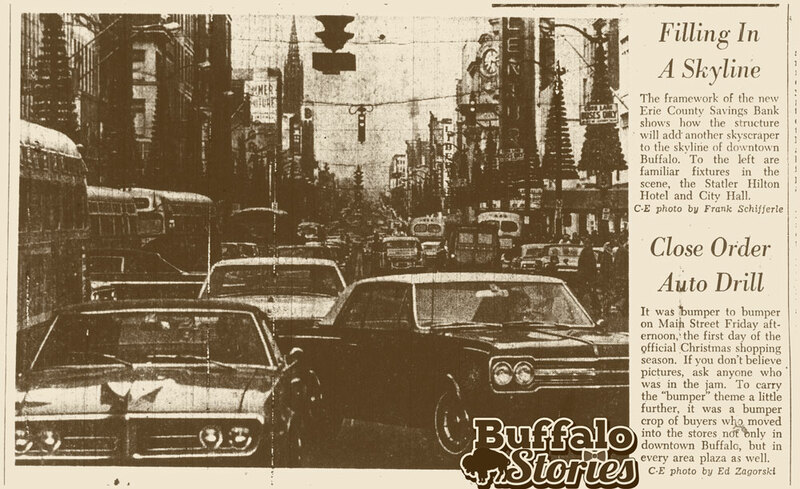 Parking facilities in the downtown area were reported full most of the day. Dept., said extra patrolmen were planned both day and evening to handle the traffic.